After landing in Fresno, the passengers will be obliged to proceed to the Baggage Claim area where all the luggage might be received. In case of the loss or damage of the baggage, the Lost & Found Office staff will help to solve the issue. However, certain restrictions are implemented for the content of the carry-on bags which shall be noted in advance. In case of urgency, the airport is eligible to provide services for passengers with the reduced mobility and disabled passengers. 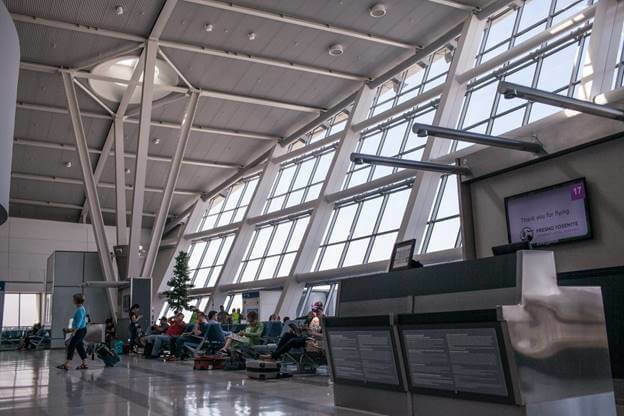 The flights arriving at Fresno Yosemite International Airport are coming from Guadalajara, Orlando, San Diego, Portland, Las Vegas, Dallas, Salt Lake City, Los Angeles, Denver, and Phoenix.